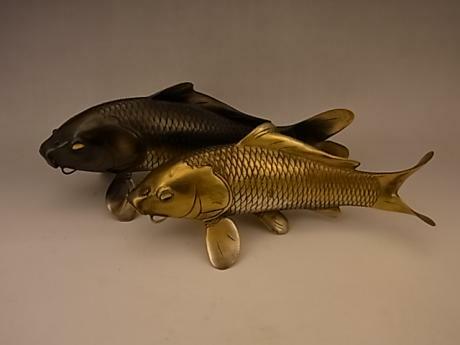 Japanese Meiji Period bronze and silver KORO/OKIMONO. The KORO/OKIMONO is done in the shape of a crow and egret. 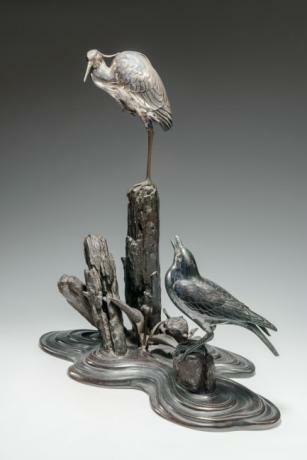 The crow is done in SHAKUDO and the egret is done in silver. Done by UNNO YOSHIMORI, or BISEI II (1864 - 1919). 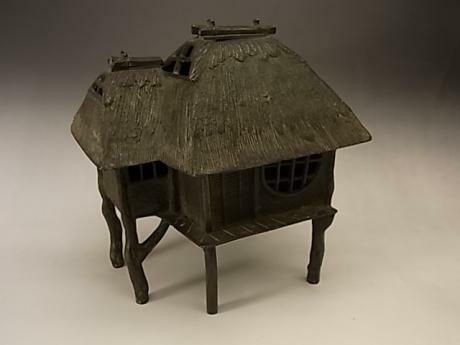 The OKIMONO measures 17" tall, 12 1/2" wide and 8" deep. Signed on s..
Japanese early 20th century bronze vase. The vase is made in a round shape at the base and has a long, slender neck with animal shaped handles at top. No storage box. 11" tall by 2 1/2" wide at the round bottom. 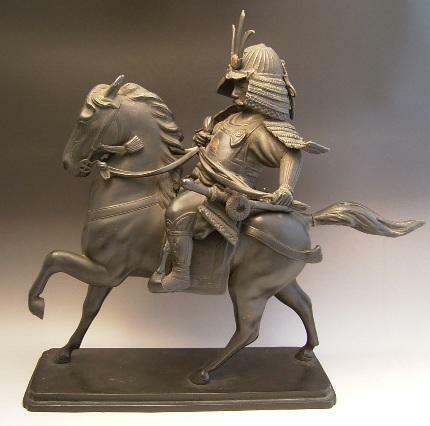 Japanese Meiji Period bronze statue of a Samurai warrior on a horse. Beautifully and realistically done in fine detail. Some mixed metal inlays on chest and helmet of Samurai. The statue measures 19 1/4" tall by 20 1/2" wide by 6 1/2" deep. 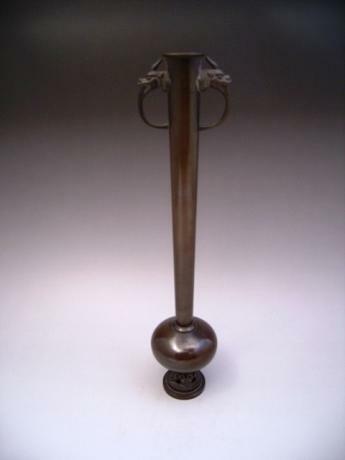 Japanese early 20th century pure silver, glass and mixed metal incense holder by the famous HATTORI company. 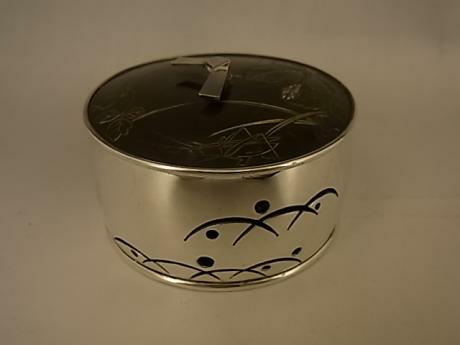 The outside of the incense holder is done in pure silver, the liner is in glass and the lid is done in silver and mixed metals. Stamped JUNGIN HATTORI on the bottom. 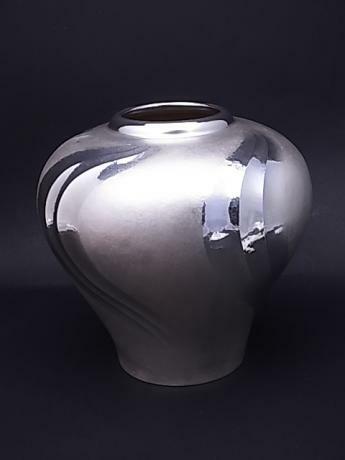 The holder measures..
Japanese mid 20th century bronze vase by YAJIMA BOSHU (1925 - ). 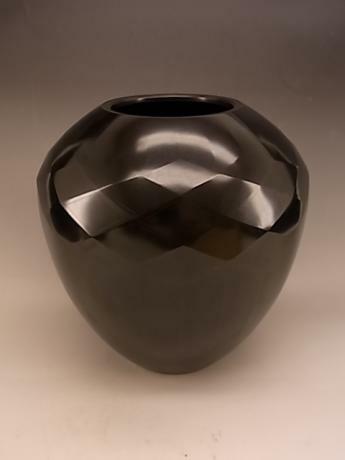 The vase has a faceted geometric design. The borders of the facets also have an etched design within the forms. Yajima Boshu studied with KATORI MASAHIKO, the Living National Treasure artist in Takaoka in Toyama Prefecture. The v..
Japanese mid 20th century hand hammered copper vase by GYOKUSENDO. 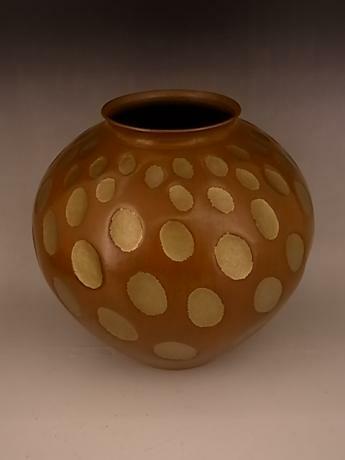 The vase has a wonderful indented design over the entire surface colored in a golden tone. The vase comes with TOMOBAKO, or original artist signed wooden storage box. 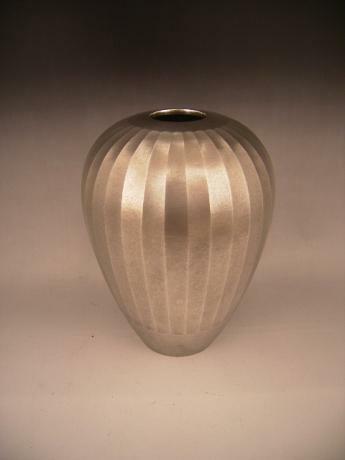 The vase measures 7 1/4" tall by 7 1/2" in diameter. (nodene..